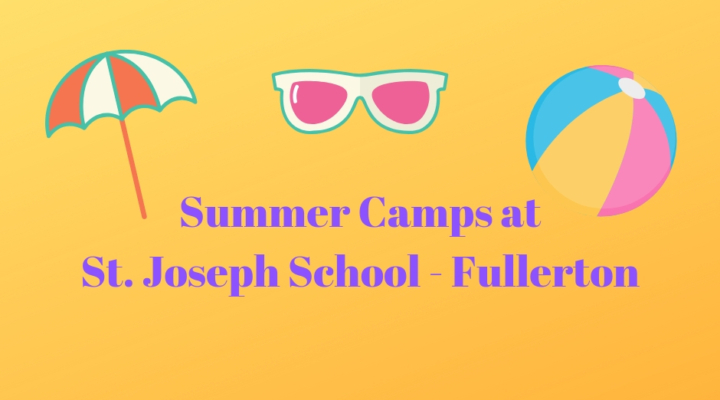 Join us for fun educational Summer Camps being held at St. Joseph School this summer! We have several fun camps to choose from for children of all ages. Bricks 4 Kidz summer camps provide an extraordinary atmosphere for children, where we learn, we build, we play… with LEGO® Bricks. Summer programs are built around our proprietary model plans, designed by engineers and architects, with exciting themes such as space, construction, and amusement parks. At Bricks 4 Kidz, we believe that kids learn best through activities that engage their curiosity and creativity. Visit our camp schedule and sign-up today! Is your child interested in learning more about robots and drones? Sign-up for this exciting Summer STEM Camp today! Students will learn basic robot mechanics from expert coaches, while working on project team skills in programming and teamwork. Students will drive and program robots and drones and compete in fun challenges! Vacation Bible School is "the place to be" for children who want to experience God's love in a unique way. Our Vacation Bible School allows everyone to experience the excitement of God's love for us all. It is a place to praise the Lord and his love for his children entering Kindergarten through 5th grade in fall 2019. Registration is online only. Monday, June 24 - Friday, June 28 from 9:00 a.m. - 12:00 p.m.
Take a look at these camps sponsored by St. Joseph Church to help youth grow in their faith.